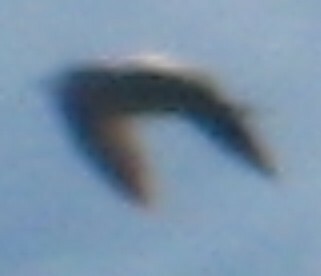 I was at home in the rear garden taking pictures of the clouds/sky; the first time I noticed the UFO/entity/animal were when I was looking back through my pictures. 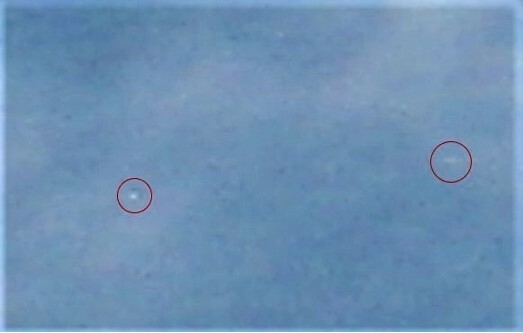 My first thought when I saw the UFO was how many different kinds there are. Describing the UFO is hard, however, the entity/animal that I had never seen before, at first glance it looks like a flying snake?? and then it looks like a flying lizard?? what I do know is that it was something i have never seen before. My feelings, reactions and actions were that of amazement in just how many different unidentified that there are in "our" skies! I was blown away when I first noticed the entity/animal, like I stated. End. 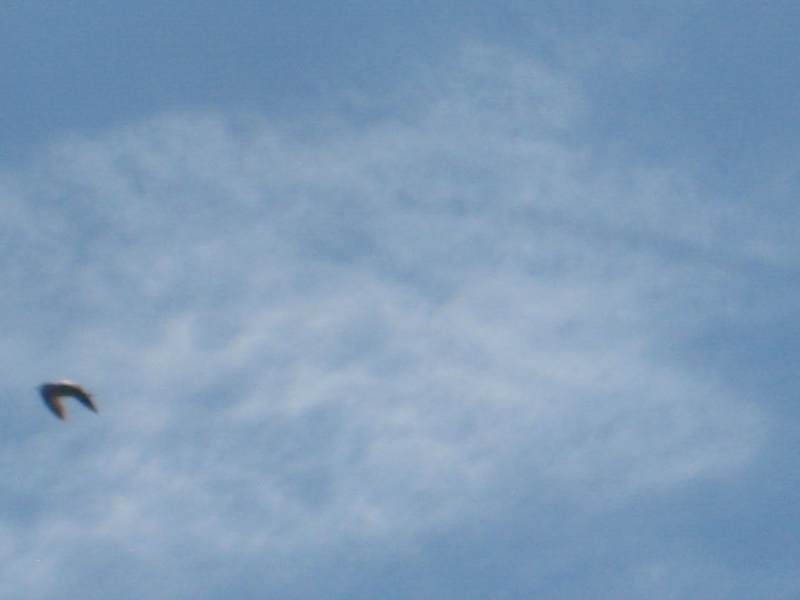 BEAMS Comment: Certainly not a letter 'U' shape helium balloon: so, craft or creature? and if the latter, could any naturalist looking in please help explain; because here, we are completely flummoxed... we've never seen anything like it before either! 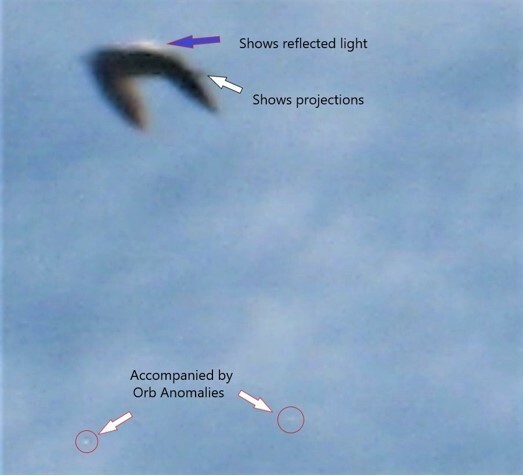 Another member of our BEAMS Team has also studied this image... and he is of the opinion that it shows something which appears to be more of an object rather than a creature; here is his message and analysis. Been having a good look at the above report/photo.